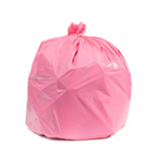 When you need large garbage bags to fit outdoor trash cans for home or work, or if you’re searching for high-quality commercial garbage can liners, these 40 to 45 gallon garbage bags are an excellent choice. 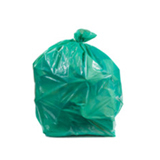 Our selection of bulk garbage bags in this size is extensive so that you can choose the ideal bag for your needs every time. 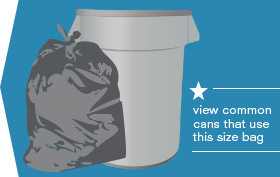 Our 40-45 Gallon Bag collection offers many bags that usually work well in the cans below. Picking out the right waste can liners for the job requires a bit of knowledge about the material that gives each bag its strengths. 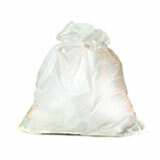 Low-density plastic (measured in mils) is used to create thick garbage bags that will need to stand up to sharp trash without suffering punctures and tears. 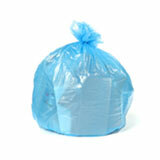 You’ll find low-density garbage bags working hard in places like kitchens and warehouses. 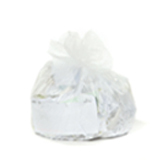 High-density plastic (measured in microns) creates economical garbage bags that lightweight and strong, excellent for loads of heavy or wet garbage where sharp edges aren’t an issue. 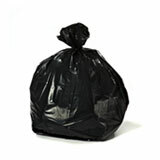 High-density garbage bags are often found in offices and restrooms. When you’re looking at a garbage bag, remember that the higher the mil or micron count, the thicker (and stronger) the bag will be. 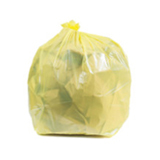 Plastic place carries a large range of 40 to 35 gallon trash bags in all kinds of thicknesses, each appropriate for different uses, including clear garbage bags, recycling trash bags, and bags in all colors of the rainbow. 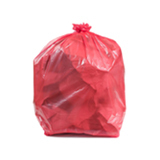 Switching to wholesale garbage bags is an easy way to instantly save money, whether you’re managing a household budget or trying to cut business costs. 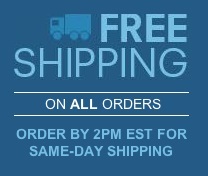 All bulk garbage bags from Plastic Place are covered under our 100% satisfaction guarantee, so you know you’re getting the same (or better) quality for a much better price. 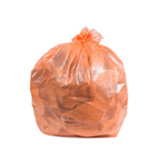 Buying wholesale trash bags by the case also means you won’t run out of garbage bags when you need them, and you’ll spend less time trekking to the local store to stock up over and over again.